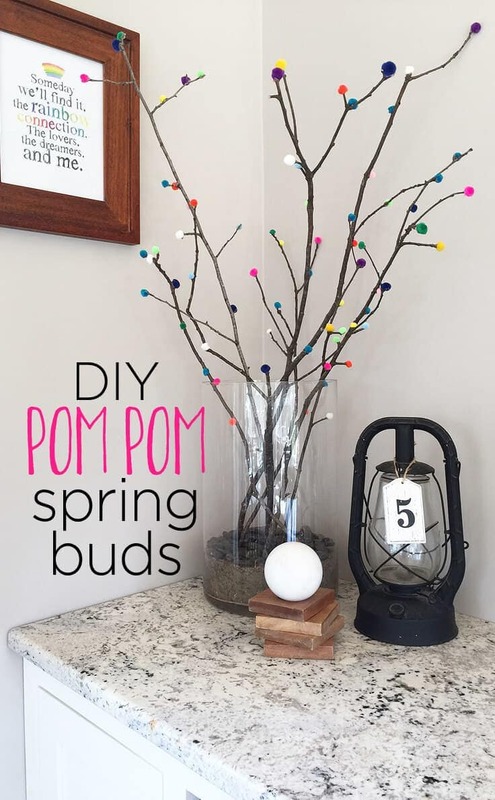 Hi Kenarry readers, it’s Lori here again from Greco Design Company and I’m sharing a fun DIY project that will add a little spring touch to your home! And if you’re like me, my home needs a spring touch!! I love to decorate with natural items like sticks, berries, flowers, and greenery but sometimes these natural items don’t bring us the full color we want – or the color doesn’t last. 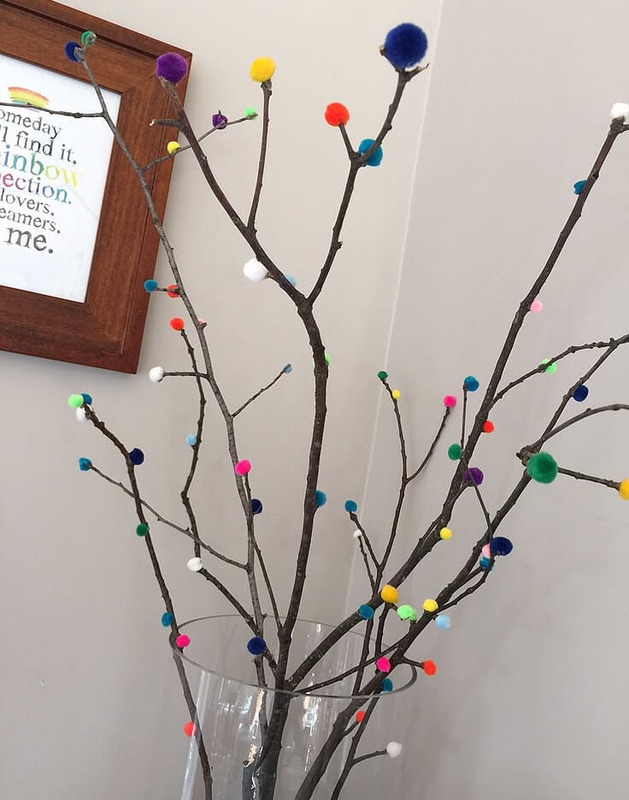 So I decided to add my own colorful spring “buds” to some sticks I found in my yard. 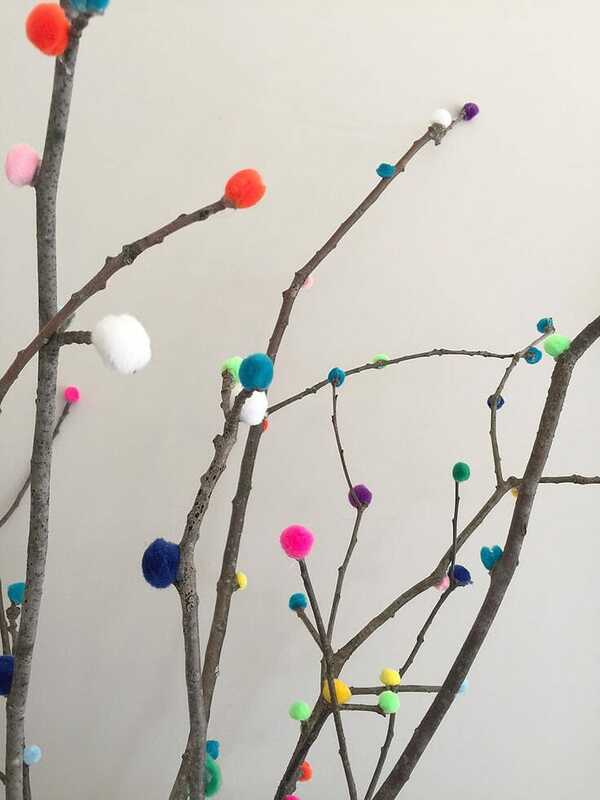 I love the burst of color and the combination of natural and synthetic materials. It makes for a very fun spring arrangement. Step 1. 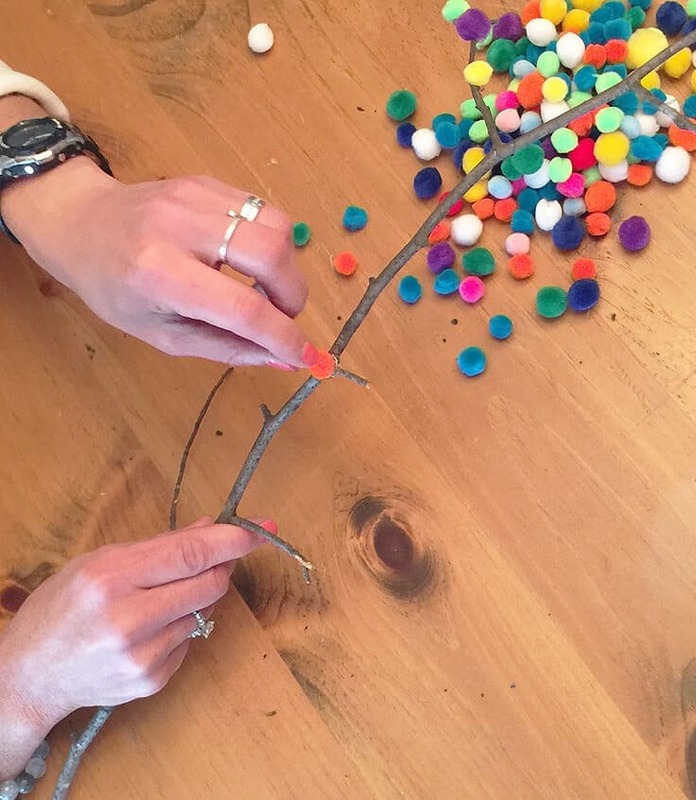 First, collect your materials: I gathered sticks from my yard and made sure they were in good shape, had a lot of stems and not a lot of mossy or wet areas. 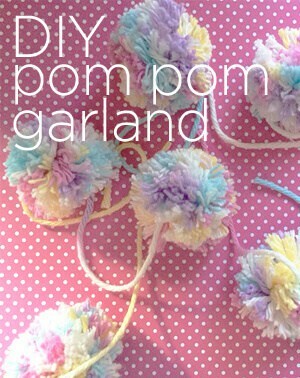 I also bought these pom moms at Michael’s, and of course, grabbed my trusty glue gun. Step 2. 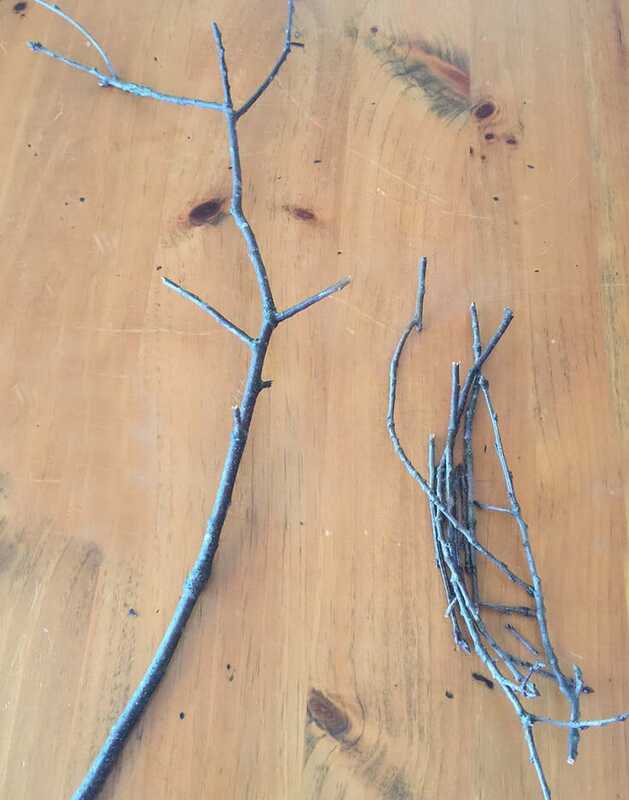 I broke the weaker branches and stems off the sticks so they were a little more manageable to work with. Step 3. 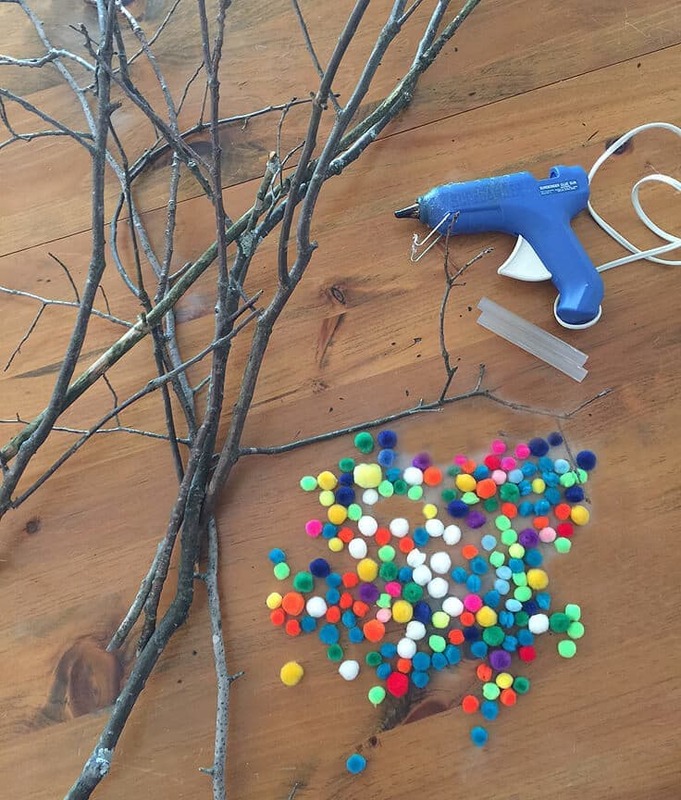 Glue your pom poms onto the sticks starting at the top. 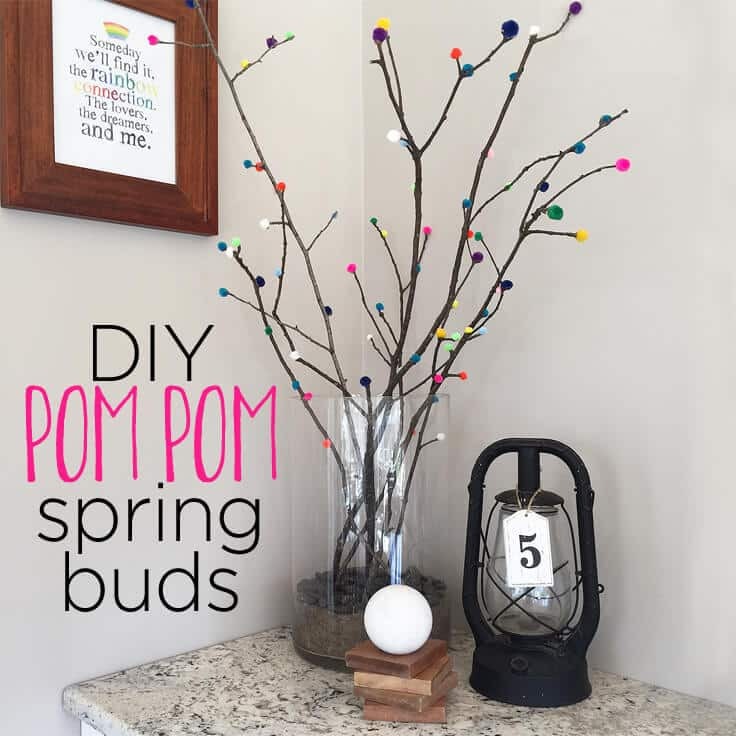 I put most of mine at the end of any stems and then along the base of the stick where I thought buds would grow but there’s really no wrong place to put the pom poms. Just spread them out to create a pleasing arrangement. Step 4. 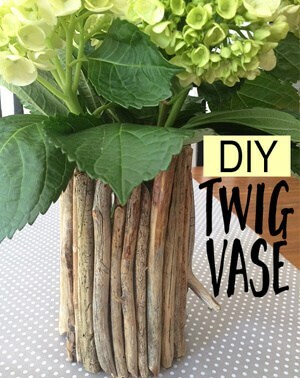 When you have all the sticks done, find a fun vase to display your colorful creations. I used a large glass vase and put some dark gray rocks and gravel along the bottom to add a solid base. These colorful buds work perfectly next to my rainbow connection print! Now I just need spring to be here. 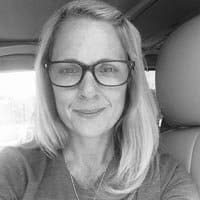 Follow Lori on Facebook, Pinterest, Twitter and Instagram. I absolutely love these! They are whimsical without being over the top. I made a couple projects from here https://www.homeyou.com/10-colorful-ways-to-spring-ify-your-porch and these will go perfectly with them. Thank you for sharing! Thanks, Claudia. Aren’t they so fun! They would go great with those ideas you shared on your site.